Strictly in terms of salaries, there are very few job paths that are more lucrative than a post-MBA career in financial services. Jobs can be found in the financial services firms (such as J.P Morgan), as well as in credit unions and banks. Post-MBA positions in financial services can include everything from a risk management specialist to a financial analyst or even an asset manager. For students interested in this area of business, many business schools offer MBA specializations in Finance, as well as related fields like Accounting and FinTech. For a more analytic understanding of finance, some business schools also offer one- or two-year Master of Finance programs. The “Finance and Economics Division” is by far Columbia Business School's largest division, and offers almost half of all the courses at the school. Columbia's proximity to Wall Street means that students don't have to go far to network with financial executives. Of the MBA class of 2017, over 34 percent of students went into roles in the financial services industry (including investment banking, hedge funds, private equity firms, and other parts of the industry). In 2017, the school launched a five-month online certificate in Corporate Finance. In any particular year, up to 40 percent of MBA graduates go into the financial industry. Finance-minded students can choose to pursue Booth's long-standing Finance concentration, or drill deeper into the theories with a unique specialization in “Analytic Finance.” Booth’s Fama-Miller Center produces a range of research in financial topics. Where some MBA programs offer a single concentration in finance, NYU Stern offers six, including a specialization in FinTech that was launched in 2016. Students regularly go on to land finance jobs with the Federal Reserve Bank and Nomura Securities, as well as into a wide range of corporate finance roles. Some 32 percent of the class of 2017 went into careers in financial services, in industries like investment banking and private equity. 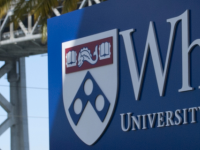 Of Wharton's MBA class of 2017, over 37 percent of graduates went into financial services companies, including large firms like J.P. Morgan, Credit Suisse, and Goldman Sachs. MBA students can choose to pursue the school's popular concentration in Finance and build a network through its Finance Club. The school publishes a substantial research output in publications like Journal of Financial Economics. The school’s wide research also informs the MBA program’s well-regarded concentration in Finance. Graduates regularly find work in financial services firms like Bank of America, Nomura Securities, Discover Bank, and other places. A Tube ride away from the London Stock Exchange, London Business School is at the heart of one of the world's most active financial centers. The school offers a robust range of finance electives, including classes in derivatives and hedge funds. Some 25 percent of 2016 LBS MBAs went into finance-related industries. Goldman Sachs and citi are among the school’s top recruiters. Students in Olin’s MBA program can pursue a concentration in Corporate Finance and Investments, which covers topics in investment banking, venture capital and more. The school’s Wells Fargo Advisors Center for Finance and Accounting Research center publishes an array of finance-related research and puts on conferences. Of the school’s MBA class of 2017, some 38 percent went into the financial services industry - one of the highest of all schools surveyed by FIND MBA. The school’s Toronto location puts it in the middle of one of the world’s financial capital. Of the school’s class of 2016, 44 percent of Rotman MBAs went into the financial services industry—the highest percentage of any Canadian business school surveyed by FIND MBA. Rotman MBAs can pursue a range of relevant specializations, including one in “Financial Reporting and Analysis,” and one in “Funds Management." Hong Kong—one of the world’s financial centers—is a great place to do an MBA in Finance. As part of the program, students can also study for four months in other financial centers like New York or London, with partner schools LBS and Columbia. In recent years, over 30 percent of graduating MBAs have gone into the financial services industry, many landing jobs in some of Hong Kong’s biggest financial firms. CUHK placed 53 percent of its MBA class of 2016 into the finance industry (including banking, investment/asset management, venture capital and private equity), one of the highest rates of any school surveyed by FIND MBA. The school’s MBA concentration in Finance prepares students for finance roles in Hong Kong and in Asia more broadly. Best online MBA for Investment Banking and Finance? Best online MBA for Investment Banking and Finance? Stay in supply chain or go into finance? Stay in supply chain or go into finance? Investment Banking After PhD in Electrical Engg.. Investment Banking After PhD in Electrical Engg..
Venture Capital after an MBA - possible? Venture Capital after an MBA - possible? USA MBAs for Finance + Which Safety Schools? USA MBAs for Finance + Which Safety Schools? Post Experience Masters in Finance or MBA for Me? Post Experience Masters in Finance or MBA for Me?